Asema Achado Calls for Application from Benue State University Undergraduates for the 2018/2019 Scholarship Form. 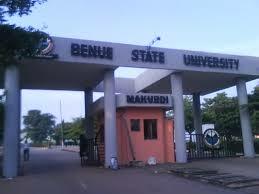 Applications are invited from students of Benue State origin studying at the Benue State University for the above named scholarship scheme. The award shall be offered on a competitive basis. i. Only students with Cumulative Grade Point Average (CGPA) of between 2.5 and 5.0 on a five (5) Point Grade or 2.0 and 4.0 on a four (4) point grade. In case of Medical students, the Cumulative Average Score should be converted into 4.0 Grade System for eligibility consideration. ii. The applicant must at least be at 200 level of his/her studies in any of the academic Departments of the University. All applications should reach the office of the Registrar on or before close of work on Monday 19th November, 2018. Applicants are to ensure strict compliance with the above time line as no application shall be entertained after 19th November, 2018.